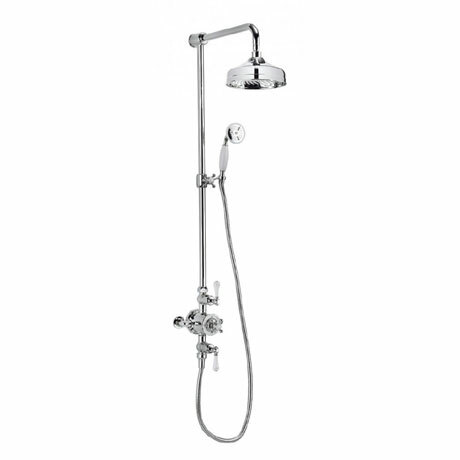 This thermostatic shower valve with fixed head, slider rail and handset is a traditional style from the Belgravia exposed valve collection. Its timeless and elegant design will make this a centrepiece for any traditional bathroom. Features an advanced thermostatic Vernet cartridge and smooth diverter which brings together function and superior style. Available with an 8" fixed head as standard or add a touch of hotel luxury to bathrooms by upgrading to a 12” fixed head, the ultimate style statement for homes.